Life By Virtual Design (TM) is for everyone. You don’t have to be a Certified Life Design Specialist (TM) with PhD level training to benefit from the core of it all, and this actually starts today. Astrologically once a year the New Moon is in Aries as this happened today at 3:47 PM EST. This is the most potent time to begin anew. You can do this any time you wish, yet the New Moon is always a great time to start New Projects. I created the term and training for Life By Virtual Design (TM) and I’m sharing the core of it with you now so it can help you NOW. If you have read the book Individual Power the basic components are outlined in this book. If you live with your “virtual” computer screen in front of you, and/or you see it many times each day — here is what you MUST do NOW so you can begin to benefit from this immediately – and free of charge! “Design Your Life Virtually” Every single area of your life must be designed EXACTLY as you would LOVE it to be – without limits! Just to give you an idea, here are actual photos that I found on line when looking for the perfect look/feel of the rooms in my home. Here is my family room. I LOVE each room so much! When I found the above photos – it was like YES! This is EXACTLY what I want! It’s Mine! with a photo of any of your books soon to be released. Notice I NEVER said “I will have” or “Someday”, maybe, I hope, wish, pray…etc. this will be my reality. if you don’t have time to DESIGN YOUR OWN LIFE, how in the universe do you expect to experience all you would really love? Design the life you LOVE, save the collage images as one JPEG and and make it your SCREEN WALLPAPER/Screen Saver on your computer. Just WATCH how it all starts to actually happen. Read the excerpt in Individual Power about when I cut out the picture of the Dome of the Rock in Jerusalem and SIX WEEKS LATER I was standing in front of the Dome of the Rock IN Jerusalem. It was one of the most happily shocking experiences in my life. Now, I’ve got a LOT of designing to do! I really hope you do this because you are the only one who can design your own life. Have fun, BELIEVE, and you will receive! 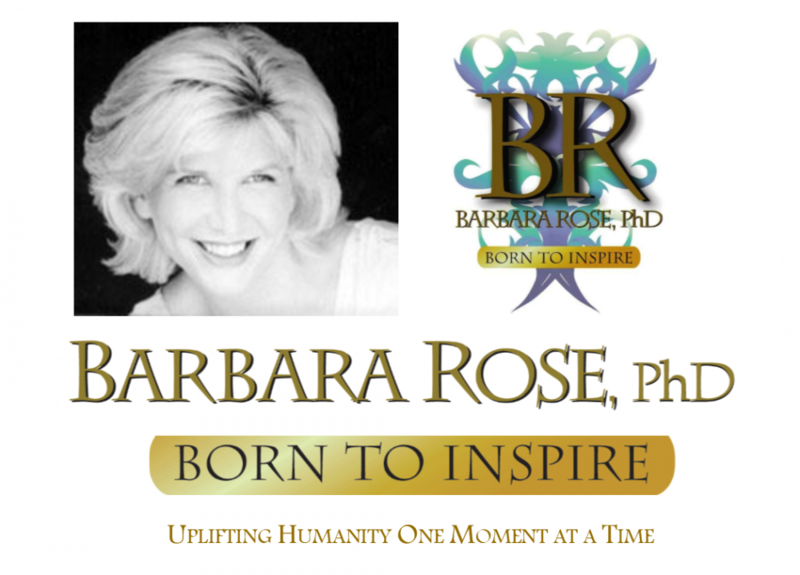 This entry was posted in Pure Inspiration by Barbara Rose, PhD |Born To Inspire | Bestselling Author| Life Transformation Expert. Bookmark the permalink. What a beautiful inspiring post! !